Category Archives for "Repair A Phone"
If you ask iPhone users what aspect of their phone they want to change or improve one of the most common answer's would be the battery performance. A brand new iPhone performs remarkably well but, like other gadgets, its battery performance gradually slows down over time affecting the overall experience. Just last year, Apple was caught in a controversy when it did not deny the fact that it slowed down the performance of iPhone's with older batteries. The slowdown, according to the tech company, was needed in order to prevent frequent crashes. The controversy led to bad publicity for Apple and resulted in numerous cases filed against them by customers who complained that Apple violated their terms of contract. Some customers went on to accuse Apple of deliberately messing with the older iPhone models in order to force customers to upgrade. This accusation, however, was vehemently denied by Apple. As a response to the issue, Apple issued an apology and lowered the cost of out-of-warranty replacement batteries however the wait time to get yours replace could be weeks. If you are in located in Austin we can replace your iPhone battery the same day usually within 30 minutes. ​Apple also promised to roll out a software update concerning the health of iPhone batteries. ​This update hopefully will give users more knowledge as to the health of their phone’s battery. This greater transparency can help customers understand if the declining performance rate of their phone is indeed because of the battery. True to its promise, Apple has released iOS version 11.3 on 3/29/18 which contains the update regarding the health of iPhone batteries. Under this latest software update, users will be able to see the power management of the controversial update of Apple first introduced in iOS 10.2.1. and the users can choose to turn it off. ​The power management feature of the iPhone was originally placed there in order to protect iPhone's with old or weak batteries from having unexpected shutdowns. With ​iOS 11.3, this feature can be controlled to some extent by the users. As mentioned above, iOS 11.3 adds a new feature for the device’s battery. If you have already updated to this iOS version then go to Settings and tap on Battery. The first thing you will notice is the Battery Health portion which shows your iPhone’s battery capacity compared to when the battery was new. The comparison is expressed in percentage terms. Moreover, the Battery section will also show you whether or not the battery is performing normally. ​As a guide, according to Apple, the iPhone’s normal battery is built to retain equal to 80% of its original capacity at 500 complete charge cycles. The software update will also enable Apple to recommend to the users if their phone’s battery needs replacement already. Note that for those devices operating at a full battery capacity like the iPhone X, there is no option to turn off the power management feature that leads to slower performance of older iPhone's with weak or degraded batteries. On the other hand, for those phones which needs battery replacement, the power management feature can be turned off. You can get your battery replacement at Apple or you local cell phone repair shop. ​Related: The iPhone 8 or iPhone X, Which One Should You Get? Upon installing the iOS 11.3​, power management is disabled but once the iPhone experiences an unexpected crash, the feature will be automatically enabled. If an iPhone user decides to turn off the power management feature after the automatic turning on, then the user cannot manually turn it on again. The power management feature will only turn on following a crash or shutdown. Again, this will be automatic. The iOS 11.3 Battery Health feature is available for the following models: iPhone 6, iPhone 6 Plus, iPhone SE, iPhone 6s, iPhone 6s Plus, iPhone 7 and iPhone 7 Plus. ​Animojis – Apple has added for new animojis especially for iPhone X users. These are the lion, bear, dragon, and skull. ​Messages – With the update, a new Business Chat will be available which will enable iPhone users to talk straight to businesses within applications such as Messages, AirPlay 2, and Health. ​Face ID – Users now will see a “confirm with side button” instruction when downloading anew application. This is considered an improvement to the FaceID checkout in the iPhone X for the App Store and Apple Pay. Reviews – Now with iOS 11.3, you can browse the App Store and sort reviews of the different applications. These reviews can be classified into four kinds: Most Helpful, Most Favorable, Most Critical, and Most Recent. This feature is available on the iPhone, iPad, and iPod Touch. 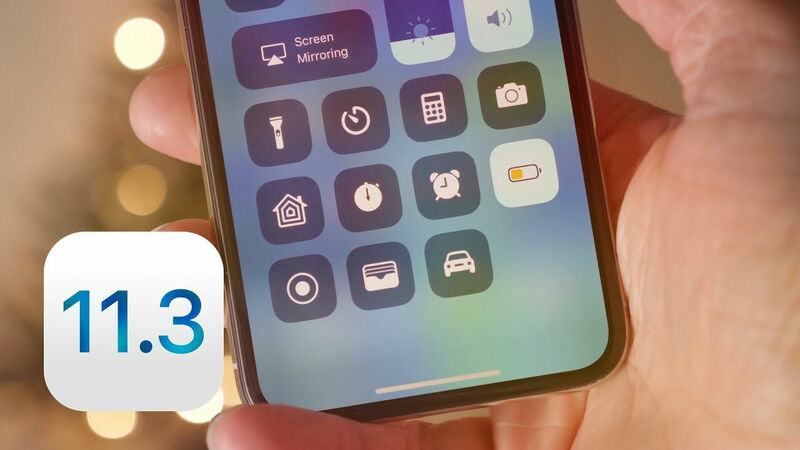 ​With the features lined up in the iOS 11.3, hopefully ​this will improve user experience, ease of use, and battery reliability of the iPhone. You may have asked yourself how to find ​iPhone model number. This may be a difficult task since there are so many. Most people are all familiar with the different kinds of iPhone that Apple has released. The first iPhone was released in 2007 and the latest one, the iPhone X, was released in 2017. Apple also released the iPhone 8 & 8 plus at the same time but which one is better? The iPhone 8 or the iPhone X? The iPhone X’s design and features are leaps and bounds different from the very first iPhone. However, one thing that has remained similar throughout the years is how Apple assigned model numbers to a particular iPhone. The model number we're talking about is not the name of the iPhone's like “iPhone 4” or “iPhone 6S Plus”. An iPhone has two model numbers on it. The first one is the “A” model number which is used to designate the model family of the iPhone such as an iPhone 6S or iPhone 4. The second model number is referred to as the “SKU” which is used to specify more accurately the device. For example, an iPhone 6S Plus with 32GB of storage. ​In this article, we will be talking about how to find iPhone model number that starts with the "A" and not the SKU. Why Do You Need ​To Know How To Find ​iPhone Model? iPhone's tend to look very similar to each other. You can see this clearly with the iPhone 4 vs the iPhone 4S and the iPhone 5 with the iPhone 5S. ​Also, ​you have the same phone with different storage amounts that further complicate things. It used to be that they only varied in size or thickness. 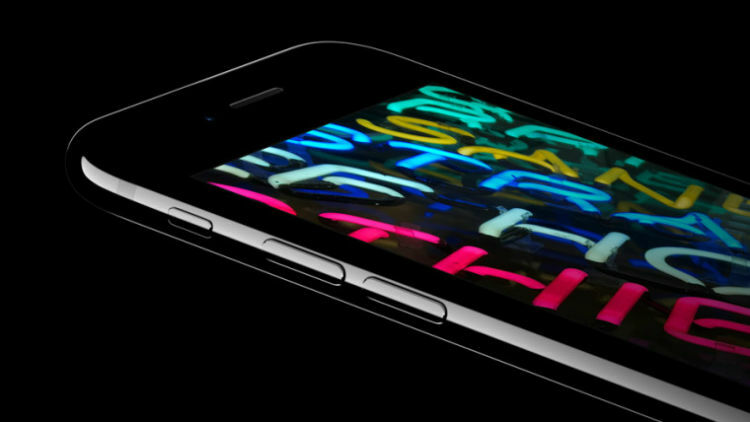 Therefore, the “A” model number is a reliable way to figure out if the iPhone is an iPhone 6 or an iPhone 6S. This will be very helpful when you need to get your iPhone repaired and it won't turned on. All you have to do is find the “A” model number to identify which iPhone you have so you can relay that to your local cell phone repair shop. 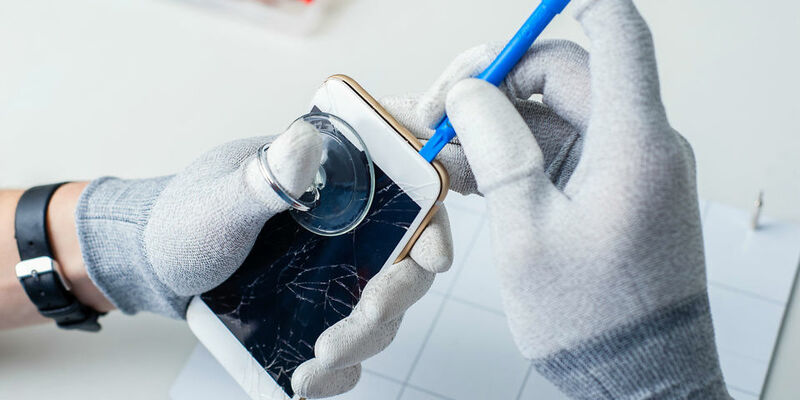 ​Speaking of repairing your iPhone, read our related article about how third party repairs will not void your warranty. Previously, Apple would void your warranty if you gor your iPhone repaired by a third party. There are some things to consider so make sure you read that article. In addition, the “A” model number is also important to identify which version of the iOS is compatible with the model. As you may know, not all versions of iOS are compatible with all iPhone's. Some iPhone's are compatible with the lower versions of the iOS while more recent iPhone's are compatible with higher versions of the iOS. ​To avoid downloading ​the wrong version of the iOS, it is important to know how to find the iPhone model number to know which version will work best with your iPhone. The “A” model number is also an easy way to differentiate a CDMA model from a GSM one. This will help you identify what mobile carrier the iPhone is for. Before the release of iPhone's that has both CDMA and GSM capabilities, the “A” model number had been very helpful. This is because AT&T is always GSM, T-Mobile is always GSM, while Verizon and Sprint are always CDMA. Last but definitely not the least, knowing the “A” model is extremely helpful to those who use IPSW. IPSW is an iOS firmware, which is used to either manually update a device, which is primarily used for jail-breaking purposes. Also, in worst case scenarios, the IPSW is used for restoring an iPhone that had a major software failure. ​If manually updating your iPhone or getting it restored is something that needs to be done​, then knowing how to find ​iPhone model ​will be very important when downloading the appropriate IPSW files. What are the Different iPhone Models? For your reference, here is the complete list of the iPhone model and its “A” model number, as can be seen in Apple’s official website as well. Now that we discussed all the basics, it is time to know how to find your iPhone’s “A” model number. First, it should be noted that finding the “A” model number varies depending on the model of the iPhone. For older iPhone's, the “A” model number can be seen at the back of the iPhone. This can be verified from the list above. From the first iPhone in 2007 until the iPhone 7 last year, the “A” model number can easily be found on the back, bottom part of the iPhone in small lettering. Just flip the phone over and look at the fine print just below the “iPhone” text. The model number is written in this format: “Model AXXX”. For the more recent models such as the iPhone 8, iPhone 8 Plus, and iPhone X, the “A” model number is not found on the back cover. On these iPhone's, go to the Settings app and tap on “General”. Then, go to the About section and scroll down to the “Model”. The first thing that you will see is the “SKU” model number but if you tap on the model number, then it will show the “A” model number. ​To avoid confusion, the “SKU” model number usually starts with a letter M and sometimes end with an “LL/A”. Now that you know how to find iPhone model ​number,​ can now use it for any purpose that you ​needed it ​for. ​Through the years, touchscreen smartphone manufacturers have tried to make the screens thin yet durable. But despite the efforts, screens are still not 100% resistant to cracking. Apple’s iPhone, notwithstanding the technology applied to the smartphone, is still not impervious to cracked screens. In fact, cracked iPhone screens are so common that third party repairs have sprung up almost everywhere. It does not help that cracked iPhone screen replacements are generally not cheap when done by Apple. Third party repair providers offer screen replacement at a cheaper price for the same quality. Surprisingly though, Apple has became less strict in its screen repairs. Just September of last year, the company lowered the price of its screen replacement. Before, iPhone models under the AppleCare+ could have its screen fixed for a cost ranging from $79-$99. Now, the screen replacement costs only $29. This has made the Apple repair price competitive since third party repairs usually cost $100 - $150. 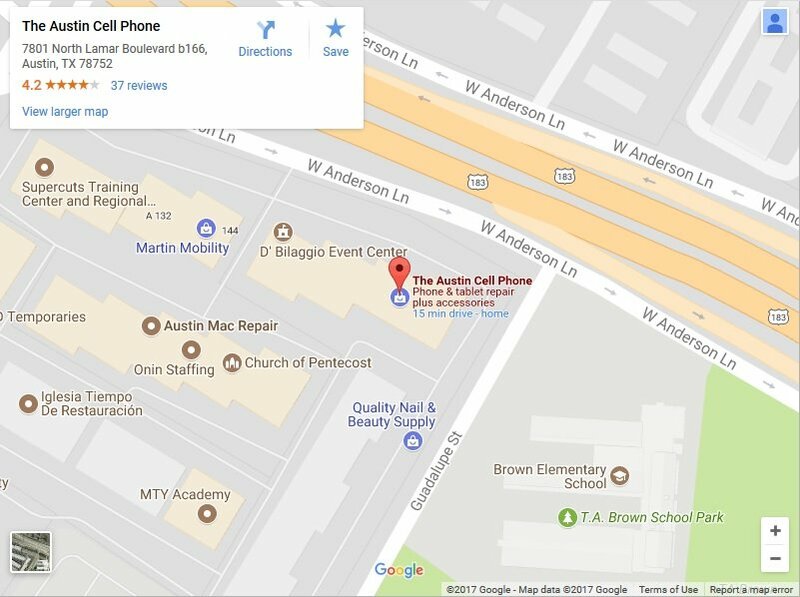 Here and The Austin Cell Phone, our iPhone screen repair costs range from $59 - $129. ​If the iPhone is out of warranty, the third party repair is more appealing since Apple screen replacements will ​range from $129 to a whooping $279. By making screen replacements for certain iPhone models in a flat rate of $29, Apple has also increased the attractiveness of the AppleCare+ program. Aside from lowering the price of screen replacements, Apple has also lifted its policy against third party screen repairs. The policy used to state that an iPhone’s warranty is void whenever the device had a third party display. Apple would then will not perform any repair or warranty the device. ​However, early ​in 2017, Apple had a change of heart. The tech company has rolled out a memo which tells Apple retail employees that an iPhone’s warranty is no longer void even if the device’s screen is repaired by a third party cell phone repair shop. Under the new policy, an iPhone can still be repaired by Apple even if the device’s screen has been previously fixed by a third party repair provider. However, this policy does not apply to all kinds of repair. ​If the repair done by the third party caused damage to the device, then the user has to pay​ the out-of-warranty price​. ​Additionally, if the repair is related to the display, then the cost of the next repair at an Apple store or any authorized shop is at the out-of-warranty price. Under the memo, before proceeding with the repair of anything not related to the display, the Apple retail store employees or Apple authorized service providers should inspect the iPhone unit for signs of fraud or tampering. As mentioned above, if the repair to be done is due to a damage caused by the display fix done by a third party, any repair by Apple will be considered out-of-warranty. This includes replacing any parts that the third party service provider has installed. ​AppleCare+ will simply not cover any repair or part replacement related to the repair done by ​a third party service provider. The worst case scenario is that Apple will refuse to repair it. The memo released by Apple unfortunately applies only to repairs in the United States, Canada, and certain regions. To ensure that your region is included, ​check out Apple's repair terms and conditions before getting your iPhone repaired by a third party service provider. Until now, Apple has not released any official statement regarding the reason behind the sudden change in its screen repair policy. Nevertheless, consumers can breathe a sigh of relief knowing that they can get their iPhone’s screen repaired anywhere else without worrying about voiding the warranty. Additionally, it seems that Apple is also inviting more consumers to replace their screens at authorized service providers by making it cheaper to do so. Consumers can get Apple authorized repairs and parts with the new $29 tier price on all the recent models from iPhone 6 to the iPhone X. ​In the end, consumers are presented with a lot of options for their screen replacement needs. This ensures that users of iPhone's can use and enjoy their units longer since getting screen repairs ​will be easier. You should be cautious of getting repairs from just any third party service providers. Because of the caveat that Apple has put in its screen replacement policy. An iPhone user must first ascertain that the third party service provider does quality screen repairs. ​Get a list of the third party service providers near you. You can do so by surfing the net or asking friends or relatives for referrals. ​Do your research. Nowadays, there are a lot of third service providers with their services and ratings posted online. It will not be difficult to ​find reviews regarding the services they offer. ​Compare and contrast. Apple has made the AppleCare+ program more competitive by lowering the price of screen replacements. Therefore, if you are opting for a third party service provider, then you have to ensure that the pros outweigh the benefits of just having it done by Apple or any of its authorized service provider. A third party repair is more enticing for iPhone units which are already out of warranty. Here at The Austin Cell Phone we pride ourselves on the repair work that we do. We have great reviews from our many customers who trust us to repair their iPhone's. Read our reviews on Yelp, Google and Facebook then give us a call when you are ready to repair your iPhone. Most iPhone repairs take only 30 minutes and you do not need to make an appointment. We also offer mail in iPhone repair services for anyone in the USA. ​Please share this article and leave a comment below if you found it useful or informative. We love to hear from our customers. If you ​have had an iPhone ​for ​some time now, you may have ​noticed ​your iPhone ​slowing down ​over time. It may have crossed your mind ​that your ​iPhone running slow after update ​whenever Apple releases a new iOS​. Well, you are not alone. There is a conspiracy theory going around for quite some time now which states that Apple makes older iPhone models a disappointment to use after new ones are released. Older iPhone's tend to slow down or even shut down. This lead to frustration among ​users which ultimately ​forced them to upgrade even though the older ​ones are perfectly fine in other aspects. 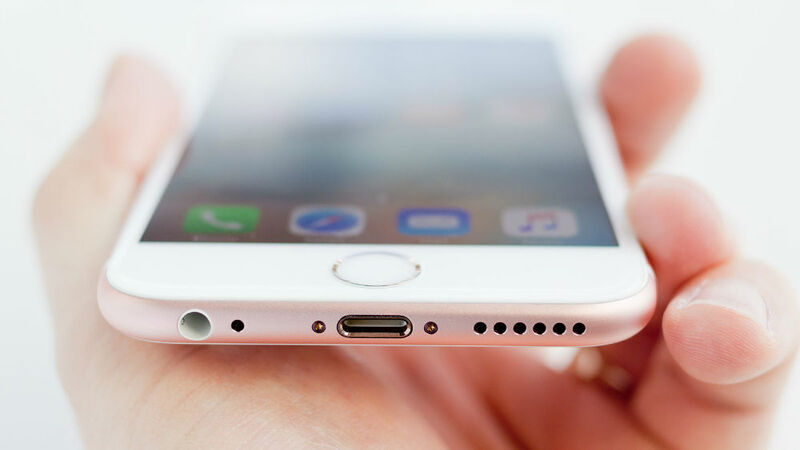 This phenomenon can be seen ​in iPhone models such as the iPhone 6, 6s, and 6s Plus. Users of these models have reported their ​iPhone slowing down even when the battery seems to be in good condition. The iPhone slowing down phenomenon ​of older ​models have been experienced by so many users which led to many to talk about it on sites such as Reddit​. Many Reddit users have actually reported that their iPhone's have returned to its normal performance after an iPhone battery replacement. ​These ​posts​ which suggested that the iPhone battery might be the cause of the iPhone slowing down performance of older iPhone's​ ​led to ​one of the Reddit ​threads to go viral. The Reddit talks ​pushed the Primate Labs founder and Geekbench developer, John Poole, to conduct his own study to find out for himself what​'s really going on. Poole and his team have compared the performance of nearly 100,000 iPhone 6s and 7 units and analyzed the units’ performance data. Apple has released a fix for the shut down bug between iOS 10.2.0 and iOS 10.2.1. His study has found out that units performed slower after the release of the fix for the shutdown bug. This ​iPhone slowing down performance was also noticed ​on other models as well entailing a rampant problem. In fact, after the iPhone 7 was reported to experience shutdowns, Poole noted that Apple iOS updates have led to the slowing down of ​that model’s performance as well. However, unlike the conspiracy theory, Poole thinks that Apple slowed down the system of its older units in order to avoid overloading the batteries, which were considered old or aged at the time of the release of the fix. After the commotion caused by the Reddit post as well as the somewhat confirmation from Poole’s research, Apple ​was backed in ​a corner and ​was forced to respond. It can be inferred from Apple’s statement that what Poole said was true. Apparently, Apple has been addressing iPhone’s shutdown issues due to old lithium-ion batteries. With each new iPhone model, Apple has been consistently increasing the power of its processors and its operating system. These improvements puts a strain on old lithium ion batteries leading to shutdowns to avoid internal damage to its components. Apple’s explanation has merit when one ​considers that the battery life of a smartphone has an impact on its performance no matter how great the processor or the operating system is. In fact, it is widely accepted that the faster the processor, the more energy it demands from the battery. Does this justify your iPhone slowing down? Tech giants like Apple and Samsung are still finding the balance between a smooth and fast processor and a reliable battery life. It seems like iPhone users have to bear the burden of ​having their iPhone slowing down. After all, a slower iPhone performance is much easier to handle than an iPhone that spontaneously shuts down while in use. Or worse, an iPhone that burst's into flames unexpectedly. So far, the fix which led to the ​iPhone slowing down performance has been given to iPhone 6, iPhone 6 Plus, iPhone 6S, iPhone 6S Plus, and iPhone SE last year, and iPhone 7 and iPhone 7 Plus this year. Even though the slowed performance only affects certain models according to Apple, it will not hurt to do something to prevent it from happening to your own iPhone. If you are planning to change the battery, ensure your phone isn't slow due to other reasons. Sometimes an old version of the iOS or applications might be causing the problem. Another thing you can do to speed up your iPhone’s performance is to turn off background app refresh, location services for individual apps, and motion effects. Refrain from exposing your iPhone to extreme temperatures. Avoid charging your device when you are in a heated place. If you can wait till you are in a cooler place, then hold off from charging your device. ​If you decide to get the battery replaced in your iPhone you can go to Apple directly or visit your local iPhone repair shop. The Austin Cell Phone has been repairing iPhone's in Austin Texas since 2012 and have repaired hundred's of iPhone's. For those who do not live in the Austin area you can utilize our mail in iPhone repair service to replace or battery or repair any other part on your iPhone. We have great reviews on our repair services and pride ourselves with ​our level of service. Please leave us a comment below ​the share what you think ​about the recent news of ​the iPhone slowing down. Think about starting a cell phone repair business? Consider this, cell phones are an integral part of everyday life. It used to be that cell phones were only used only for communication purposes. Ever since the boom of mobile internet and social media, cell phones are now a necessity. In fact, more and more smart phones are being sold and newer versions are being released every year. People go nuts with the latest releases of the big manufacturers like Samsung and Apple. But despite all the innovations put into these devices, they are still prone to breaking easily. According to statistics, 30% of iPhone users crack their screens every year. Whenever a person breaks her phone, a local c﻿﻿e﻿﻿ll phone repair shop comes to the rescue. Do I Need A Degree To Have My Own Cell Phone Repair Business? No, but having an electronics degree will help. Repairing cell phones is a meticulous job since you will be handling a device with micro parts. However, it is fairly easy to educate yourself with the nitty gritty of the craft. There are a lot of information available on the internet. You can browse through hundreds of articles detailing different aspects of the cell phone repair business that you have to know. In addition to written articles, there are also hundreds or maybe thousands of YouTube videos that you can watch which show you the different ways to repair a phone caused by different problems. Is Starting A Cell Phone Repair Business A Good Idea? Like we mentioned earlier, cell phones are very essential to people nowadays. Some people are very dependent on it. For instance, kids these days do not know how to go about their day without a cell phones. Businessmen, media men, and academicians also rely on their cell phones to finish important tasks and to stay connected. Getting into the cell phone repair business then is a practical choice. There are hundreds and thousands of potential clients everywhere you go. Finding these clients is not hard since you are surrounded by people who use them. A cell phone repair business also do not have to have a large amount of capital to start. With the right tools and the right marketing strategy, and of course, with a good knowledge of how to do repairs, your cell phone repair business will be booming in no time. What are the Basic Tools to Start a Cell Phone Repair Business? If you are decided on starting a cell phone repair business, then you will need some basic tools to get started. These tools do not entail shelling out a bunch of money. Some can even be found in your home. It is important to clean the phone with a tool that will not damage it. Brushes can help you clean the parts before you proceed onto the repair itself. In some instances, cell phones have problems because of dirt and foreign objects stuck inside the housing. Since cell phones are electronic devices, an anti static brush is needed because normal brushes create static electricity. The anti static brush is very helpful especially if there is corrosion inside the phone due to water exposure. Isopropyl alcohol is essential in repairing water damaged phones. When a phone has been damaged due to exposure to water. The first thing you need to do is to power the phone off and put it into a container of rice for at least 24 hours. This technique helps the rice absorb the water out of the device. Do it as soon as you find out that the phone has been in contact with water. If a client has brought in a phone which has been wet for days, then the first thing you have to do is to disassemble the phone and clean all the connections inside the phone with an anti static brush and isopropyl alcohol. The alcohol evaporates quickly and is non conductive which makes it a perfect solution in making sure no corrosion forms on the electronic parts of the cell phone. This technique will also help make the water dissipate fast. Since you will be working with small parts, tweezers are a must have item in your cell phone repair kit. Enough said. Suction cups are useful when you are working with a screen. You will definitely need these when completing an iPhone screen repair. For the iPhone's, you can easily replace the screen with the help of suction cups. Simply let the cups stick using the suction and pull up and away the screens. Sounds easier than it really is and it is a lot harder trying to do this without suction cups. Therefore, you may want to invest in good quality suction cups and those that have different sizes. Suction cups are not so useful when repairing the Samsung Galaxy smartphone. Digitizer separator is essential when you are replacing just the glass on a phone’s screen. Since one of the most common damage of a phone is with its screen, you may need to give a little more importance to this device. If you want to get a machine to separate the glass and swap a shattered one with a replacement glass, then you need to be prepare to spend at least $200 to $400. There are certain kits that you may use which has a UV glue, wire, and molds for easier swapping. If you have a substantial capital, then check out a Vacuum Screen Separator. Bonus tip: you can swap the glass using only a heat gun, wire, and temperature gun. Although it takes more time and effort. This is useful if you need a little more time to build your capital for the cell phone repair business but you also need to start now with the repairs. As the name suggests, this kit has the tools needed to repair cell phones. It has tools of different sizes to fit the different components inside the phone. You can get this as a starter pack since you do not know which size of tool you may need while repairing.